Do you believe that a three-star hotel can offer a perfect holiday? 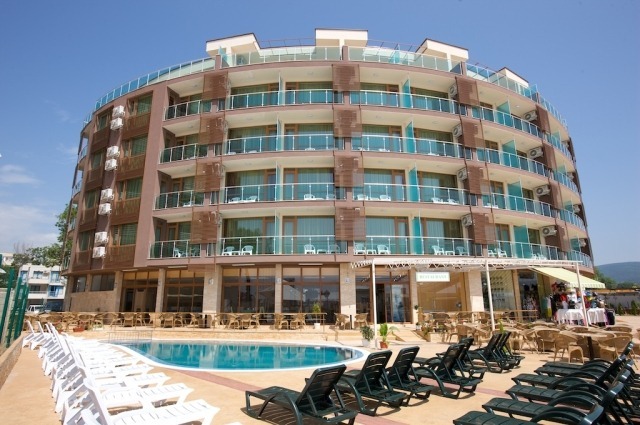 If there is a hotel which can, this is Briz Beach Aparthotel, located at the very seafront promenade of the Sunny Beach – the most popular Bulgarian Black-Sea resort. Crystal clean water, silken soft sands, and pleasant breeze carry an incredible liveliness and tranquility. 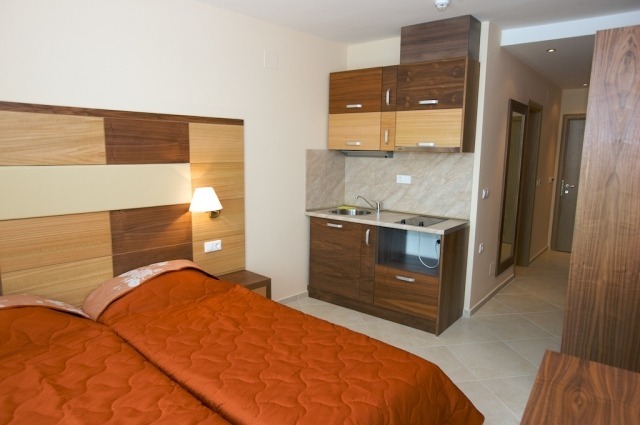 You can find it at one place only – Briz Beach Hotel, Sunny Beach, Bulgaria. Don’t miss the splendid dishes which the hotel restaurant offers. We are proud that one of the best chefs works for us, popular with his achievements in the Bulgarian and international cuisine. 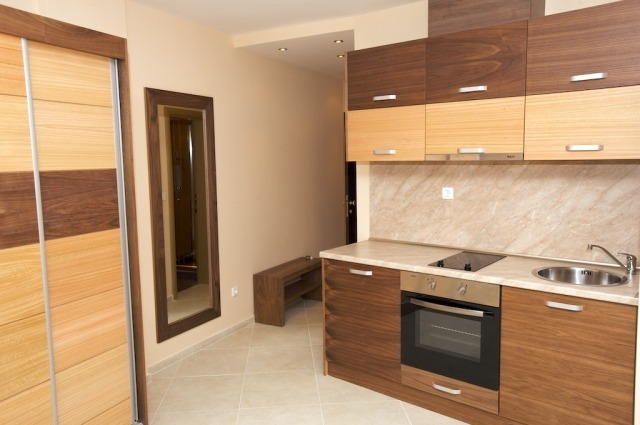 All apartments feature stylish modern furniture. They are equipped with all necessary facilities and utensils so that you can have your pleasant stay the way you and your family want it. All rooms have lovely terraces overlooking the brilliant see. The hotel offers free Internet; rooms are provided with a minibar, airconditioner, and electronic door lock system. Treat yourself to a great time along the hotel pool. Book your stay at Briz Beach Hotel now and enjoy the holiday of your dreams at Sunny Beach – an amazing Bulgarian Black-Sea resort. What more can you dream of? !